The XMOS technology includes the world’s first stereo acoustic echo cancellation (AEC) far-field linear microphone array solution. This is based on a voice processor which delivers dual channel full stereo. Its VocalSorcery technology can identify individual speakers or conversations in a crowded noisy audio environment. This could be used for example to diarize voice conferences, and give a full transcript, by speaker of multi-person conversations, and ensure that all speakers on a conference call are heard with equal volume. “Our mission goes beyond simply delivering advanced technology to our customers, but rather providing deep domain expertise, from a technology and market perspective,” says Henry Nurser, CEO of BWT. The MAAXX Europe 2018 drone racing competition returns to the region on 23 and 24 March with triple the flying area at the Exhibition and Conference Centre at UWE Bristol. Working with leading chip maker NVIDIA, phone and system maker Huawei and the Aerospace Bristol museum as part of their celebration of the RAF’s 100th anniversary, the flying area now has two large arenas to test out the latest drone technologies. With 12 industry and university teams, the event aims to push the boundaries of control systems for autonomous aircraft. There’s an overnight build-a-drone event with significant support from Huawei and other companies along with teams from the leading UK and EU universities. The industry day on Friday 23 March will also feature a research poster exhibition from some of the brightest post-graduates around. MAAXX Europe’s co-organiser, High Tech Bristol and Bath (HBB), is also applying to the NESTA Flying High Challenge. This four-month consultation would provide the framework for a future bid for funding to examine the use of drones in urban situations. “NESTA is looking for five cities in the UK to be the centre for all things drone,” says John Bradford, CEO of HBB. “We are looking at infrastructure monitoring, contested airspace around the port at Avonmouth and the airport as well as emergency and health response. Then there’s a crowd safety and management around large events such as the Harbour Festival,” he adds. You can find out more about MAXX Europe and register for free tickets via the MAAXX Europe 2018 website. For updates on Bristol’s involvement in the Flying High challenge, you can follow HBB on Twitter here: @hbb_cic. Researchers at the University of Bristol have been able to trap objects larger than the wavelength of sound in a beam. This opens the door to the manipulation of drug capsules or even controlling tiny surgical implements within the body in sterile environments. 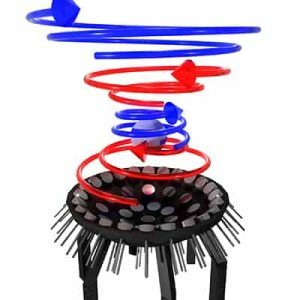 “Acoustic tractor beams have huge potential in many applications. I’m particularly excited by the idea of contactless production lines where delicate objects are assembled without touching them,” says Bruce Drinkwater, Professor of Ultrasonics at the University’s Department of Mechanical Engineering. Current theory says these tractor beams were fundamentally limited to levitating small objects as all the previous attempts to trap particles larger than the wavelength had been unstable, with objects spinning uncontrollably. Instead the team used rapidly fluctuating acoustic vortices, which are similar to tornadoes of sound, to create a stable core. They were then able to increase the size of the silent core allowing it to hold larger objects. Working with ultrasonic waves at a pitch of 40kHz, the researchers held a 2cm polystyrene sphere in the tractor beam (pictured left). This sphere is over twice the acoustic wavelength and is the largest yet trapped in a tractor beam. The research suggests that, in the future, much larger objects could be levitated in this way by boosting the power of the ultrasound. “Acoustic researchers have been frustrated by the size limit for years, so it’s satisfying to find a way to overcome it. I think it opens the door to many new applications,” says Dr. Asier Marzo at Bristol’s Department of Mechanical Engineering. Ultrasound is a key area for Bristol. The University team has previously shown smaller objects being moved around by the beams, while Ultrahaptics in the city is using focused ultrasound beams to provide the feeling of touch in mid-air. A trial is starting in Bristol this month to use connected vehicles to monitor air pollution in real time. Bristol Waste, which operates the refuse and recycling service in Bristol, is working with US connected car company Tantalum and data researchers from Imperial College London on “Air.Car” which provides highly accurate, real-time feedback on the levels of nitrous oxide (NOx), a key pollutant. According to research by US scientists, excess emissions of NOx exhaust gases can be linked to 38,000 premature deaths worldwide and it is a key measure for meeting UK and European pollution limits. 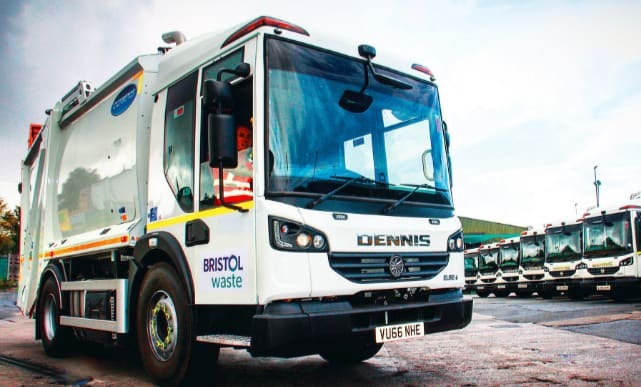 “We run a large fleet of vehicles across the city of Bristol and understanding the environmental impact of our operation is a key part of our sustainability plan and our commitment to contributing to a cleaner and greener Bristol,” says Tracey Morgan (pictured centre right), Bristol Waste Company’s Managing Director. This is part of a 1,000-vehicle trial that also includes the University of Oxford, where units are being installed in diesel vehicles to estimate real-time NOx emissions in major cities across the UK. The £2m project started last July and taps into the On Board Diagnostic (OBD) port on the vehicle to access the engine control unit to gather data, and the data will be used to develop a tool from Tantalum to provide a detailed understanding of the environmental impact of vehicles and the tools to minimise it. 2018 is set to be a stellar year in the region and there are eight tech companies to keep an eye on. With engineering in Bristol and marketing in Tokyo, Kudan is making significant steps with its Simultaneous Localisation and Mapping (SLAM) technology which helps driverless cars and drones navigate more accurately. It’s currently dealing with major car makers for both mainstream and driverless cars, major Asian mobile phone makers and large drone makers who are all driving the adoption of the designs. Bristol is a global hub of expertise in quantum technology, so it’s no surprise that one of the companies on the list for 2018 comes from the Quantum Entrepreneur’s hub. KETS Quantum Security is providing photonic security technology that is small and light enough to be used on drones for uncrackable communications. It has won several awards and accelerator deals for the commercialisation of the technology. Dyson is a big name in home appliances and it’s now set to expand its expertise and success to electric cars. Its car and battery research and development centre in Malmesbury is set to shake up the automotive world and its design centre in Bristol is leading the way for developments in the Internet of Things. Amazon already has a presence in Bristol with its cloud team, but its importance is stepping up a gear with the release of the Amazon FreeRTOS. The world’s most popular real-time operating technology was developed in Bristol and with the backing of Amazon it’s set to be even more significant, allowing the easy connection of sensors and controllers to cloud services in the Internet of Things. Cambridge-based UltraSoC has just opened its second office, tapping into the tech expertise in the Bristol and Bath region. Its team started out developing analytics hardware that is designed into chips for development. This is now a way of gaining invaluable insights into all activities across the Internet of Things. Cerberus Labs taps into the skills of highly experienced engineers from ST Microelectronics. Their expertise in encryption and chip design has led to innovative security chips for a range of IoT applications, especially to secure the communications between vehicles. Not only is the company providing the hardware designs but it’s also offering network support for messaging between the chips. The team is now driving manufacturing and growth and is planning for further expansion this year. A deal to sell its robots in Apple stores will also see a boost during 2018. While not a company, the £50m Compound Semiconductor Catapult in Newport starts operations this year, developing and enhancing the latest technology in chips for wireless chargers, more efficient power systems and next-generation radio-frequency systems for 5G and 6G equipment. Aiming to have 2000 researchers and developers just across the Severn Bridge (which will eliminate tolls later this year), the national research centre will be just 20 minutes from Bristol and a huge boost to technology development in the region. A new laboratory at UWE in Bristol is set to combine traditional print techniques with cutting-edge sensor and materials technology. UWE Bristol’s Centre for Fine Print Research (CFPR) is set to start a five-year £1.5m project in January on new designs for print heads for commercial printers and the development of the next generation of inks with distinctive properties and new ways of printing. This could lead to new applications such as a T-shirt that can warn its wearer when dangerous chemicals are in the air, or pharmaceutical packaging with ink signifying when pills have been tampered with. 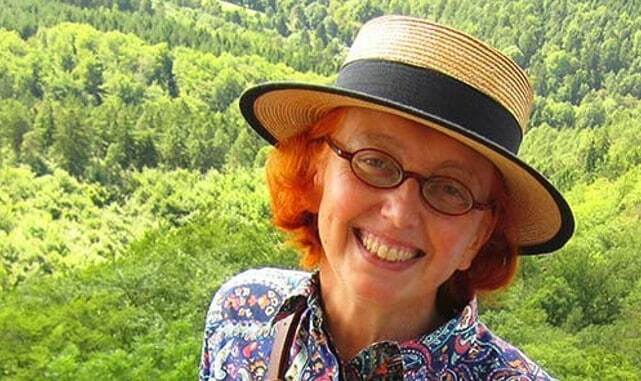 The lab will be run by Dr Susanne Klein, who used to work for printer maker Hewlett Packard as a senior researcher at its labs in Bristol. The research will combine the CFPR’s knowledge of traditional photomechanical printing methods, such as Lippmann and Woodbury, and use the techniques for use on a 2.5D printer, which creates texture as part of an image on a substrate. Using her expertise in colloidal chemistry (working with particles suspended in a solution), and liquid crystals, Klein will also develop specialist inks that can change colour in certain environments. Such properties could mean a T-shirt print might be able to detect chemicals in the environment that have a proven link to cardiovascular disease, and change colour to warn the wearer. Similar ink on the garment could also react to heat and change colour when the wearer has spent a long time in the sun. Smart inks could also help manufacturers trace a product as it passes through the supply chain, or curb counterfeiting. “There are lots of problems with counterfeiting of pharmaceuticals and sometimes products are found to be counterfeited where the packaging is identical to the original,” said Dr Klein. “We will produce packaging with printing ink that will change colour every time it passes through and is authorised at a different stage on its way to the customer. “Another application could be in the case of food that needs to remain cold in its packaging. The technology could lead to labels that react to heat, switch to another colour if they have warmed and stay that colour,” she said. The funding will provide £300,000 per year for five years to the University and Klein will set up a team comprising a post-doctorate student and a technician to work with the CFPR to develop this new printing approach. The CFPR has already been working with advanced 3D printing technology with a wide range of materials including ceramics. The basestations will use the latest Vehicle-to-Infrastructure (V2I) technology with a Bristol twist. Instead of using expensive dedicated hardware and software, the researchers have used low cost commercial Wi-Fi chips and their own software. The technology can also be used with sensors on the infrastructure. IQD Frequency Products in Crewkerne, Somerset, has been bought by German component maker Würth Elektronik. The 44 year old company makes quartz crystals and oscillators that provide the timing for all kinds of electronics and along with its US subsidiary IQD Frequency Products Inc in Palm Springs will be part of the Würth Elektronik eiSos Group. IQD is among the leading manufacturers of frequency control devices in Europe, and is active in over 80 countries. The deal will enable the company to make even greater investments in the further development of technologies and products, says Würth. “With IQD our group has now acquired a highly innovative company with cutting-edge technologies and component solutions which are a logical extension of the range of products we offer. We are particularly pleased that we’re now able to offer valuable extensions for IoT, WiFi, GPS and 5G applications,” said Oliver Konz, CEO of Würth Elektronik eiSos Group. IQD develops, manufactures and markets quartz crystals, oscillators, VCXOs, TCXOs, OCXOs, GPS-synchronised OCXOs and rubidium oscillators. The company also offers product solutions built to customer’s specifications. Amazon has tapped SouthWest technology for the embedded software to control billions of devices in the Internet of Things (IoT). The company has launched its own version of the world’s most popular embedded operating system, FreeRTOS, developed in Bristol by Richard Barry who worked for Wittenstein High Integrity Systems (WHIS). Last year Barry joined Amazon as a principal engineer and, as a result, the FreeRTOS kernel version 10 is now under the MIT licence – allowing it to be used freely (instead of its previous and more restrictive GPLv2 licence). Simplified licensing has long been requested by the FreeRTOS community and the choice of the MIT licence was based on the needs of the embedded systems community. Open source Amazon has also developed its own version, Amazon FreeRTOS, which is based on the FreeRTOS kernel and adds support for Amazon Web Service (AWS) and IoT use cases. This includes software libraries that make it easy to securely connect devices to the cloud and on a local network. This works on boards developed by STMicroelectronics which also had a large embedded technology centre in the region for many years. German development tool vendor SEGGER Microcontroller has acquired all intellectual property assets of Bristol startup Somnium Technologies. Somnium had developed a linker that enabled the entire toolchain compiled and optimised for a particular device: Somnium uses TVS for pre-launch testing. SEGGER had just completed a new linker just when Somnium’s technology came onto the market, but was sceptical of the technology claims. It is at odds to point out that its linker is complete and contains no technology derived from Somnium. There are no firm plans to unite the two linkers right now, and the company is now looking to pick up Somnium customers (and presumably offer them the new linker). A major Silicon Valley investor, Sequoia Capital, has identified Graphcore in Bristol as the world’s leading chip designer for machine learning (ML) and artificial intelligence (AI), backing the startup with $50m in a third round of funding to bring the total to over $110m. Sequoia has previously backed companies such as Apple, Cisco, Google, NVIDIA and Microchip. “Machine intelligence will cause an explosion of new applications and services that will transform every industry. We believe Graphcore’s product architecture, team and early market interest make it the best positioned new entrant in this market,” said Matt Miller, the partner at Sequoia who will join the Graphcore board of directors. Chippenham antenna specialist Deltenna has been bought by US corporation Cubic in an undisclosed deal. Since 2002, Deltenna has developed a reputation for its expertise in specialist wireless communication technology including those for use by public safety and emergency response teams worldwide. Deltenna designs and manufactures cutting-edge integrated wireless products including compact LTE base stations, broadband range extenders for areas of poor coverage and rugged antennas using rugged antennas are small, light and ideal for rapid deployment in emergency situations. The systems are based on the company’s extensive expertise in LTE, frequency re-banding and advanced antenna technologies. Deltenna currently has a portfolio of more than ten issued and pending patents in the fields of antennas and integrated wireless systems. Cubic, based in San Diego, designs, integrates and operates systems, products and services focused in the transportation, defence training and secure communications markets. Cubic Transportation Systems integrates of payment and information technology and services to create intelligent travel solutions for transportation authorities and operators. Cubic Global Defense provides of live, virtual, constructive and game-based training solutions, special operations and intelligence for the US and allied forces. Cubic Mission Solutions provides networked Command, Control, Communications, Computers, Intelligence, Surveillance and Reconnaissance (C4ISR) capabilities for defence, intelligence, security and commercial missions. Ten universities will lead on 11 projects that range from future networks for digital infrastructure to offshore wind. Over five years, the University of Southampton’s Silicon Photonics Group (part of the Optoelectronics Research Centre – ORC) will receive £2.7m from the EPSRC, working with its partner Rockley Photonics – who will contribute a further £2m. The University will provide an additional £148,000. The second EPSRC investment is £60m for 33 universities to advance their Impact Acceleration Accounts (IAA). The University of Southampton will receive almost £3m for IAAs over three years. PowerOasis in Swindon is working with Alta Devices to develop a power system reference design for Small Unmanned Aerial Vehicles (SUAS), or drones. This is the world’s first reference design for integrated solar and lithium-ion (Li-ion) battery power systems for small unmanned aerial vehicles (UAVs). By combining Alta Devices’ lightweight solar panel technology with PowerOasis’ expertise in hybrid power systems, small UAV developers can focus on leveraging their core expertise in aircraft design and performance. “Up until now, it’s been nearly impossible to develop a hybrid solar/Li-ion UAV architecture for small aircraft because the solar technology compromised the design too severely. That is no longer true with Alta Devices’ solar technology,” said Pete Bishop, CTO of PowerOasis. The reference architecture will target 2-4 meter (6.5-13 feet) span UAVs, using 5s-7s Li-ion batteries. Features include high efficiency, light weight, modular power systems, management of battery packs using a cell vendor agnostic, flexible battery management system (BMS), communication to ground control and on-board auto pilot with continuous real time power and energy data and conditioned power outputs for critical power and payload systems. Aircraft designers will be able to use the reference design to manage the complete energy generation, storage and power management system for a UAV. This is without having to bring this capability in-house, saving time and resources than can be better allocated to payload design and aircraft aerodynamics. Many aircraft companies are turning to solar to provide added endurance to UAVs. A typical battery-powered UAV can normally stay aloft for only a few hours. With solar added to the wings, the same aircraft could fly all day. PowerOasis is the industry leader in 50W to 20kW hybrid power systems & energy efficiency solutions for a wide range of applications, from telecoms to transport and military deployments, combining in-house power electronics and software expertise enabling bespoke or high volume, high quality, leading edge power solutions. XMOS in Bristol has launched a family of voice processors to provide far-field voice capture using arrays of MEMS microphones. The move marks a shift away from general purpose microcontrollers and AVB Ethernet controllers and into the market for voice controlled equipment such as Amazon’s Echo and Apple’s home speaker. The XVF3000 has optional support for Sensory’s TrulyHandsfree technology, the industry’s leading voice-trigger solution and the Xcore architecture provides a flexible and cost effective always-on voice interface in a single device. XMOS also announces the availability of a development kit (the XK VF3100 C43), which includes an XVF3000 processor card and a 4-mic circular microphone array. This kit provides a quick way to start developing far-field voice capture applications. The XVF3000 devices include speech enhancement algorithms that include an adaptive beamformer, which uses signals from four microphones to track a talker as they move, coupled with high performance full-duplex, acoustic echo cancellation. The controllers can be easily integrated with an applications processor or host PC via either USB for data and control or a combination of I2S and I2C. Developers can quickly add custom voice and audio processing using the XMOS free development tools. XVF3000 devices are available immediately from XMOS, and the VocalFusion Speaker Development Kit will be available in July. Developers can register for early access to the Beta program and download further information at: www.xmos.com/xcorevocalfusion. FreeRTOS V9.x.x, deveoped and maintained in Bristol, is a drop-in compatible replacement for FreeRTOS V8.x.x that still supports 32bit operation and adds new features, enhancements and ports. Two new configuration constants that allow FreeRTOS to be used without the need for any dynamic memory allocation have been introduced. through the configSUPPORT_STATIC_ALLOCATION and configSUPPORT_DYNAMIC_ALLOCATION constants. The Win32 demo located in the /FreeRTOS/demo/WIN32-MSVC-Static-Allocation-Only directory is provided as a reference of how to create a project that does not include a FreeRTOS heap at all, and therefore guarantee no dynamic memory allocation is being performed. Enhancements to the GCC ARM Cortex-A port layer relating to how the port uses the floating point unit. Update the ARM Cortex-M RTOS ports that use the memory protection using (MPU). Added vApplicationDaemonTaskStartupHook() which executes when the RTOS daemon task (which used to be called the timer service task) starts running. This is useful if the application includes initialisation code that would benefit from executing after the scheduler has been started. 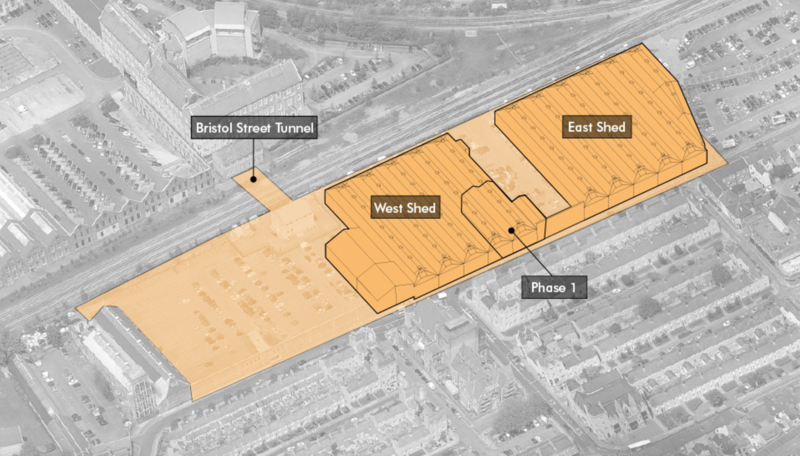 The University of Bristol has revealed its plans for the new £300 million campus next to Bristol Temple Meads and is urging local businesses and industry to feed into a large-scale consultation. The Temple Quarter Enterprise Campus development will be one of the city’s most significant regeneration projects in recent history, with 35,000 sq m of flexible space for teaching and innovation, including EngineShed 3. One of its key goals is to work with industrial partners to develop a talent pipeline of graduates who will support the city’s successful digital cluster. The University is encouraging businesses to share their views and help shape the new campus by taking part in a public consultation, which will run online from 19 June to 21 July. There will also be exhibitions of the plans at Engine Shed by Bristol Temple Meads and Beacon House on the Triangle from 20 June to 7 July, plus special consultation events at Engine Shed and Paintworks. The seven-acre site, which spans the derelict former Royal Mail sorting office and part of Arena Island, will be close to business incubation centre Engine Shed, home to the University’s award-winning Bristol SETsquared Centre, which will also be expanding into new premises within the Temple Quarter Enterprise Zone. A range of new degree programmes will be designed and developed in collaboration with industry and other partner organisations, to ensure students educated on the Temple Quarter Enterprise Campus are equipped with the knowledge, skills, values and resilience to thrive and lead in a rapidly changing world. “The new campus will focus on the digital technologies of the future and the skills, ethics, business models and infrastructure that turn digital opportunities into jobs, wealth and wellbeing that benefits the whole of society,” said Prof Dave Cliff, who is leading the academic side of the project. “We are working with partners, large and small, to put innovation at the heart of our campus and to build a talent pipeline of creative graduates who embrace social responsibility as well as opportunity. These graduates will be prepared to tackle global challenges that we can’t yet imagine. Frofessor Hugh Brady, Vice-Chancellor and President of the University of Bristol, said: “We have been given a once-in-a-lifetime opportunity to reimagine the future of our University as one of the world’s great civic universities while also transforming a key site at the heart of our city. Although designs for the campus are in their infancy and will be informed by the outcome of the consultation, there are ambitions to develop landmark buildings and public spaces which will provide a fitting welcome to those travelling into Bristol. Fully developed, the Enterprise Zone has the potential to attract over 17,000 jobs over its 25-year lifetime and add a further £100 million a year to the city’s economy. A second round of consultation will follow in September before an outline planning application is submitted to Bristol City Council later in the year. Applications for individual buildings will follow, with further consultation in 2018/19, when building work is expected to start. The new campus is planned to open for 2021, says Cliffe. Swindon Borough Council has acquired the historic CarriageWorks building from Network Rail to develop a technology innovation centre. The CarriageWorks is a Brunel heritage building, a five minute walk from Swindon station and will provide a total of 126k sqft. The Council has also acquired a carpark alongside, so there will be parking with conference facilities at the STEAM Museum next door. The first phase of the refurbishment is around 10k sq ft by the end of the year. This will host 180 desks, plus meeting rooms and other facilities. The rest of the building will be offered to larger organisations to rent. Forward Swindon is leading the project on behalf of the Council and looking to an operator for the Centre and secure tenants, particularly in smart cities and cybersecurity. It is also looking to build an investor network to support startups in the centre. Startup Zeetta Networks has won a contract worth £1.8m to build a large-scale demonstrator of its Software Defined Networking (SDN) technology at the Ashton Gate sports stadium in Bristol, writes Nick Flaherty at TechSpark’s High Tech channel. The project has broader implications for Zeetta as NetOS can be applied to shopping centres, hospitals, airports and other venues with complex operating networks.